General Roger M. Ramey was a major player in the Roswell Incident, but information on him is hard to come by. Even though he became a fairly important Air Force general in the early 1950s, for some reason the Air Force biographical Web page on their generals doesn't list him. Ramey was born in 1903 in Sulphur Springs, Texas, but grew up in Denton, Texas, about 40 miles north of Fort Worth. He graduated from North Texas State Teachers College in Denton and wanted to study medicine. But he won a rodeo competition and "preferred working on a ranch to books." He was the mess sergeant in a local National Guard unit, and the captain insisted young "Cowboy" Ramey take the competitive examination for entrance to the U.S. Military Academy, winning the West Point appointment. He entered West Point in 1924. July 26,1946: Ramey wrote Roswell intelligence chief Major Jesse Marcel a commendation for his work during Crossroads, citing his important contributions to security, his handling of complex intelligence matters, and the perfection of his staff briefings. 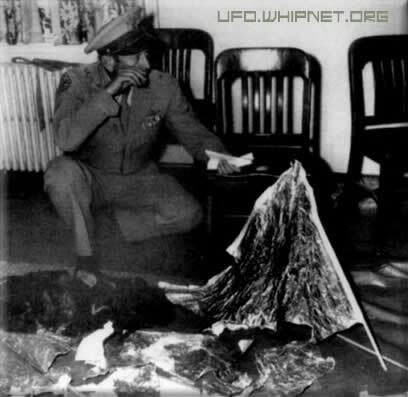 A year later, Marcel was to handle the initial investigation into the strange crash debris found by rancher Mac Brazel near Roswell and fly the debris to Fort Worth for examination by Gen. Ramey. June 30, 1947: Ramey and his intelligence chief were giving press interviews and debunking the new flying saucer phenomenon. July 6, 1947: Ramey spent all day attending an air show in his home town of Denton, TX (and probably visiting relatives). Meanwhile, back in Fort Worth with Ramey away from the base, his chief of staff, Brig. 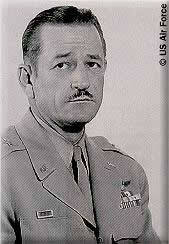 Gen. Thomas Dubose, said he first learned of the find at Roswell by phone from SAC acting chief of staff Gen. McMullen. According to Dubose, McMullen ordered debris samples flown immediately to Washington by "colonel courier," first stopping in Fort Worth. The whole operation was carried out under the strictest secrecy, said Dubose. McMullen ordered him not to tell anyone, not even Ramey. July 8, 1947: The infamous Roswell base flying disk press release and Ramey's subsequent debunking of it as a weather balloon. According to Dubose, McMullen ordered the cover-up in another phone call to Dubose from Washington. Both Dubose and Roswell intelligence chief Jesse Marcel said the weather balloon was not what Marcel brought from Roswell, being nothing but a cover story to get rid of the press.